You know me, the minute it hits 80 degrees, that oven goes on! I feel like baking. It is just how it is. Sunday is approaching, and the coffee hour. And so this evening I decided it was time to test out the Mirro cookie press. Here is where it is great to be me. 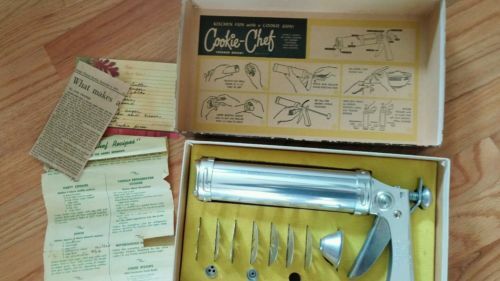 Upstairs the other day when I was looking for something else, I found a 1950s Cookie Chef Trig-A-Matic Pastry Gun. Just like this one in the picture. It was still in its original box. With a price tag attached, $2. That seems to be the going rate I pay for these things. The Mixmaster had also been $2. I pulled the trigger and I thought, I will believe this when I see it. But lo. 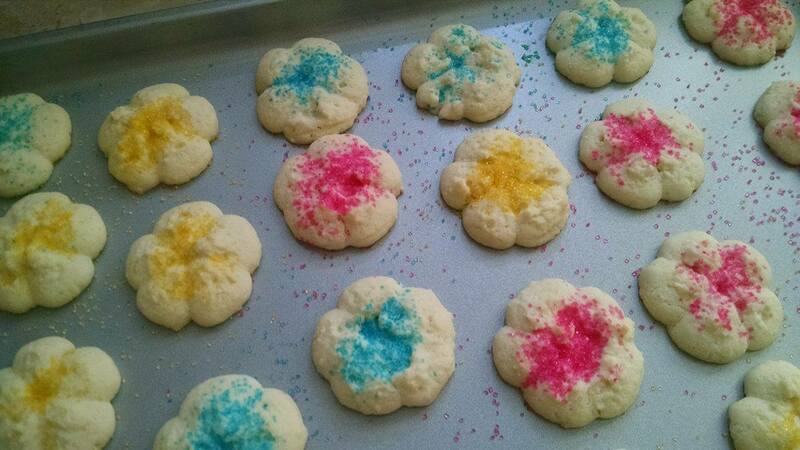 I lifted up the gun and there was this perfect little flower cookie. I pulled it again and there was another. This thing is perfect!. Looking through my holdings I see I have another model too, a plastic pastry gun made in West Germany. It is quaint to have things made in West Germany. But I cannot imagine it topping this Trig-a-Matic. Those cookies up at the top? They are mine! Lots of fun to be had for what, $1.50? That is about what you pay for a half pound of butter. Whatever it is, it works! There is this cookie press. 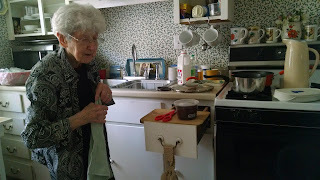 I bought this vintage Mirro cookie press for $4 at this wonderful estate sale that Lizzie and I went to on Saturday. I bought a few other things at that sale too that were, ahem, a little bit bigger. But first things first! This is a Mirro press with all these disks that let you shape a whole bunch of fancy little cookies. This press comes with 20 little discs! They fit into a wooden holder like the discs up above. If I want to hold a bridge party such as the ones Leonard Pennario went to, I can do cookies in spades, not to mention hearts, clubs, and diamonds. 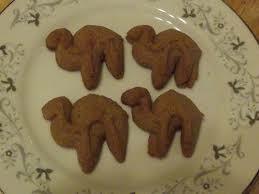 For Christmas cookies I can make stars, Christmas trees, wreaths, and camels. I love how they include camels. I'd walk a mile for a camel! It's funny, most people associate these cookies with Christmas. I do not, necessarily. We made Spritz cookies a few times but they were not an immovable part of our Christmas so I do not see why you cannot make these little darlings all year. Especially the flower cookies! They would be in season right about now. Haha... Up above where I got that picture, I found this Web log. This woman had the same troubles I am anticipating having which is why I am holding off on trying this press until the time is right. Wouldn't you know she zeroed in on the same shape I was thinking of trying, too: the pinwheel/flower shape. 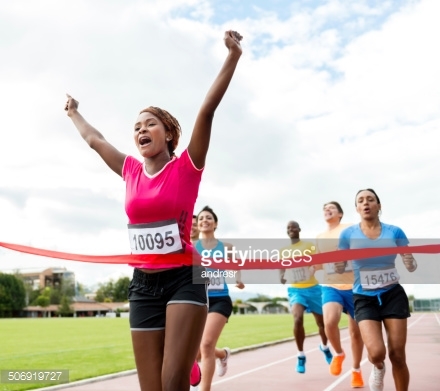 She concluded that others are easier. It will take time to master this thing! I will probably start off a Spritz ditz. But heck, if I can play Chopin on the piano, I can do this. Perhaps I will try some for next coffee hour. I was going to soar like an eagle and attempt a Bundt cake. But now perhaps I will try Spritzies. One more day of sugary desserts and then we return to the workweek and normal matters. Not to mention normal diet. 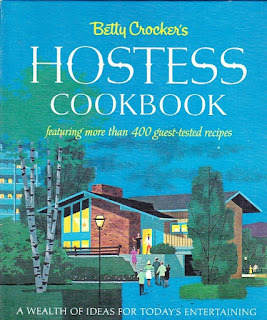 Remember the 1967 Betty Crocker Hostess Cookbook? It is the bomb! The diet bomb that is. Well, all I mean is I had a lot of fun with it yesterday. First I made Cranberry Muffins. Then I got into the yeast sweet bread thing. This is new for me. 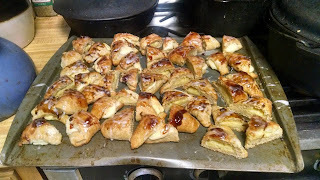 I got the dough together for Swedish Tea Ring and then for Cheese Triangles. The Swedish Tea Ring had a hilarious retro picture that went with it. Today I see it is also in the bigger Betty Crocker cookbook. That one had how-to pictures with it I could have used while working out of the Hostess cookbook. Oh well, it makes it more exciting when you do not know what you are doing. 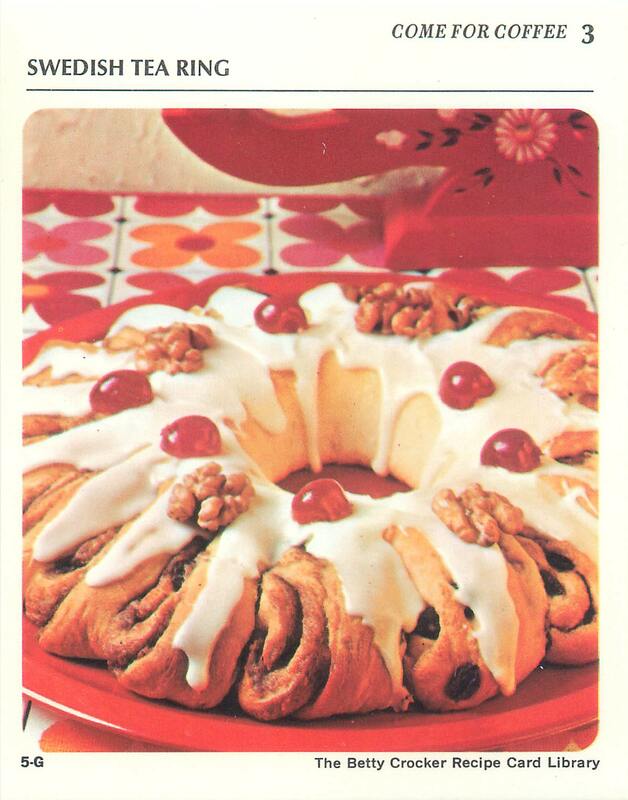 Here is Betty Crocker's Swedish Tea Ring. 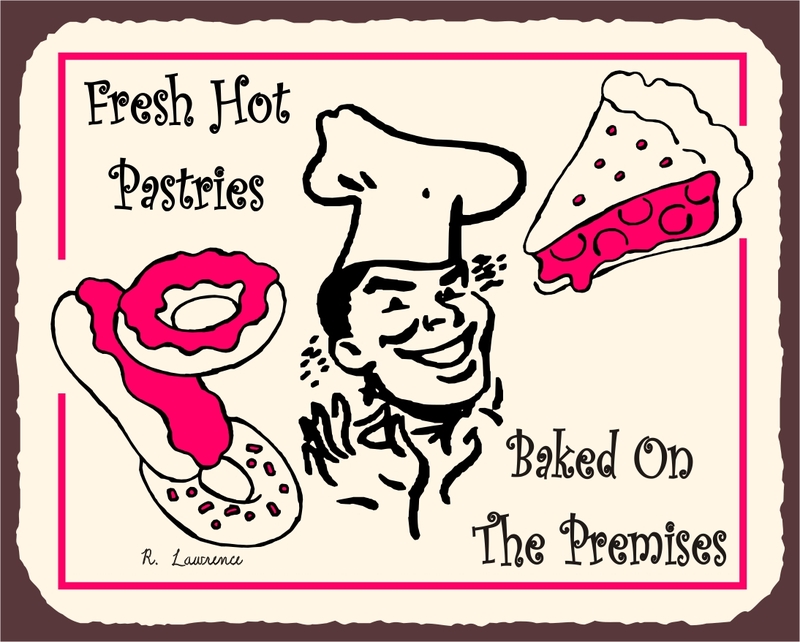 Oh, look, it is on a recipe card, too! Mine bore so little resemblance to the picture in the cookbook that I did not bother with the maraschino cherries. For some reason the system is not letting me grab the picture out of my phone but trust me, it looked nothing like that. The dough would make only a fat ring, not a skinny ring, is what it comes down to. So there was not this big hole in the middle the way there is in the Betty Crocker pic. No matter, it looked damn good with all the frosting I slathered all over it. And at the church coffee hour it was Gone in 60 Seconds. The Cheese Triangles too went over big. That is a more obscure Betty Crocker recipe. They have something going around now that uses Bisquick but this is not that. They are little foldovers. The Mixmaster whipped up the cream cheese filling. I was able to find a picture of this effort o' mine. I had messaged it to my friend Lizzie. She was busy making these great egg casseroles, kind of like crustless quiches. Got to love that beat-up tray! One of these days, you know, someone will explain to me what makes this fun. But it is! You can bake and write, is one thing I love. While the dough is rising and while it is in the oven you may play the piano or type, as the case may be. 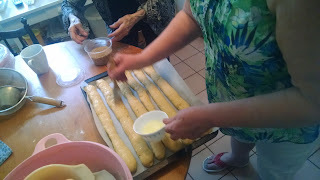 I celebrated the recent 86-degree day by baking biscotti at Dorothy's with my friend Lizzie. 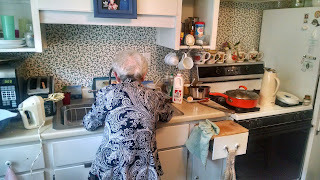 There is nothing like slaving over a hot stove on the first warm day! That way you double the dose. 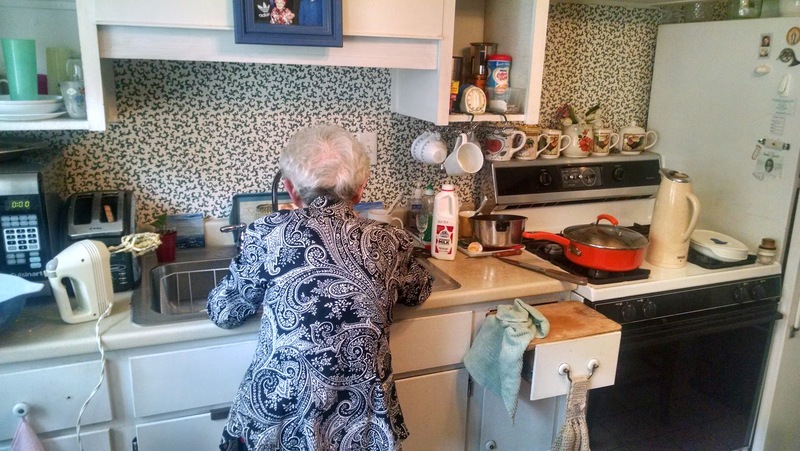 The windows were open in Dorothy's tiny kitchen but the curtains barely stirred. 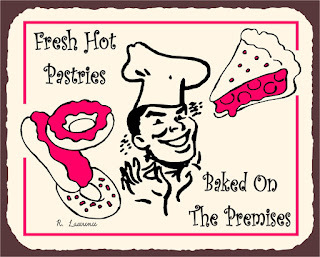 ... and bake them again. Not only that but in the second baking, they have to be flipped half way through. I would take a tray out and Dorothy would inspect it and either tell me they were ready to be flipped or they were not. If they were not, back into the oven they would go and a minute later we would have to check them again. 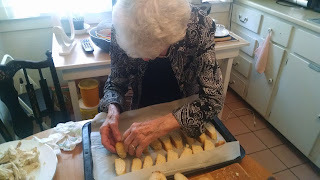 Another blast of heat from the oven, more heat as Dorothy peers at the biscotti, then back it would go. Or, if they were ready to be flipped, I would have to flip them one by one. With about 30 biscotti on each hot tray that would take a little while. Once they were flipped the process would repeat except ratcheted up to a higher level because at this point Dorothy worried about them burning. They would have to be checked that much more religiously. Speaking of religion I am convinced the only thing that kept me from dying as this ordeal went on were all the pictures of Father Baker and Padre Pio that surrounded me in Dorothy's kitchen. You will work hard in this kitchen but you will not die. Luckily, because Lizzie said I was changing color!! ... and then we viewed paintings that Dorothy has done over the years, and we talked with Dorothy's sister Clara who was sewing in the other room. And then we all ate dinner and toasted our success. Aren't you dying for these biscotti now? They may be tasted Sunday at the coffee hour at St. Anthony's in downtown Buffalo, after our 9 a.m. Tridentine Mass. They are our souvenir of that one warm day! 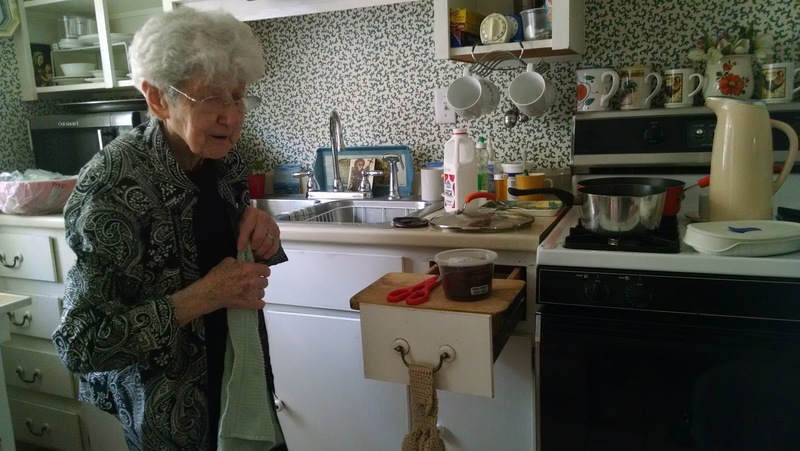 Can you stand another cookbook? 'Cause I am going to throw one at you. For church coffee hour today I made gingersnaps out of my Southern Heritage Socials and Soirees Cookbook. This book is amazing. It is not old. It was published by Southern Living in 1985. But saints alive! 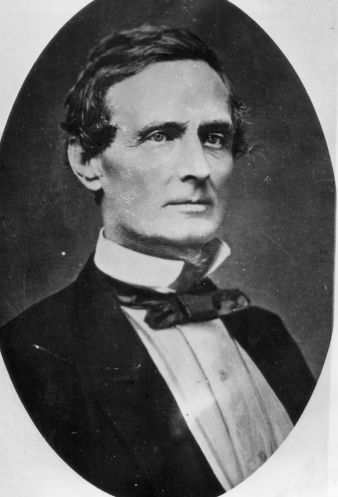 The gingersnap recipe was on a page next to a picture of the wife of Jefferson Davis. An engraving of old Jeff himself was on the opposite page, along with the most marvelous recipe for something called Jeff Davis Punch. I cannot imagine combining red wine and brandy and rum in these giant quantities but there is a first time for everything. I actually was in Jeff Davis' house. It was in Mobile, Ala., if memory serves me. He seemed a learned man, as men were in the 19th century. There were all kinds of books in Greek and Latin. Had he lived in modern times he would have had Leonard Pennario records. 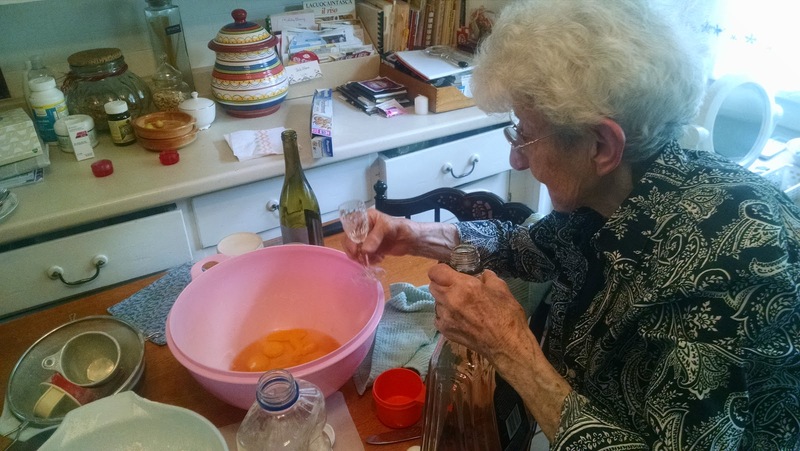 The greatest thing about the punch is the yield. I love that this book assumes we lead lives that will on occasion require seven gallons of wildly alcoholic punch. Well, as it happens I just bought a beautiful punch bowl a few months ago at an estate sale. Today's warning: Watch your junk mail! Every week I rake in a big weekly pile of sales flyers. 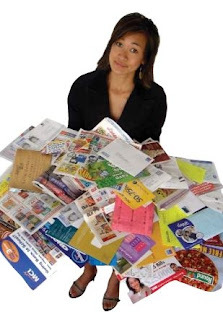 Tops, Rite Aid, CVS, Dash, a whole pile of them get delivered in a big bundle in my mailbox. Sometimes they go direct to the recycling bin. Although, OK, I do tend to hold onto Tops, CVS and Dash. But anyway. Today I am going into the entrance way, where I bring in the mail, and what do I see on the floor but an $18 wine rebate check. Some schuft had stuck this rebate among these junk sales flyers. It could easily have gone into the recycling! Howard and my brother George were eating breakfast when I realized this and began kvetching about it. And George said: "That's part of it." Meaning, that is part of the manufacturer's strategy of lowering the odds that you actually get your rebate. I have carried on about this before. Getting a rebate is like running an obstacle course. You have to not lose your receipt, not lose the form, fill out the form, get all the numbers and letters right when it is something like, Rebate 4958TLL4556, Dept. 9900886GH, Cinnaminson, N.J. Rebates always come from there or from Young America, Minn., ever notice that? Is there even actually a town called Young America? I do not know but I am going to fight my curiosity. That is probably also part of it. They hope you will Google that and try to find out and get distracted and forget all about your rebate. Anyway it goes on and on. Your final test is to get the envelope stamped and into the mail by the date specified in the fine print. ... you have to receive your check. They make that check as small and insignificant as they possibly can. It is like a tiny postcard. If it falls into the pile of junk mail, they have won and you have lost. This morning I woke up and went, "Yikes!" 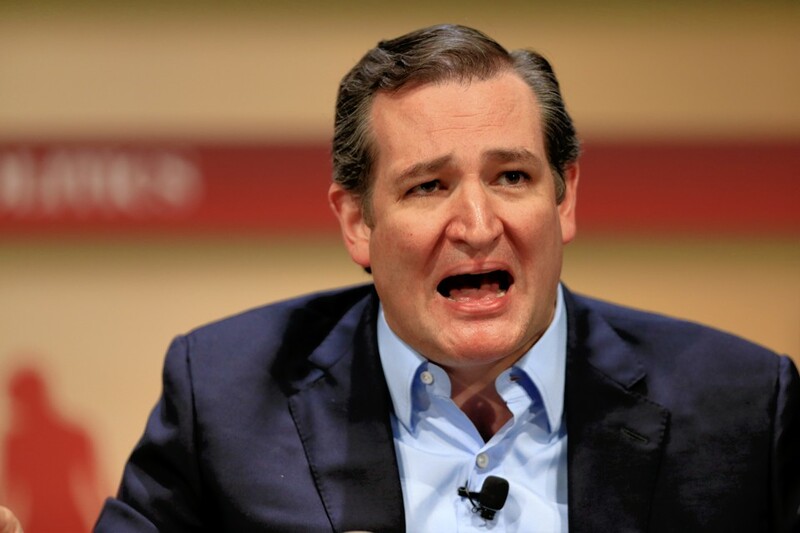 Because of all people to dream about, I dreamed about Ted Cruz. I dreamed we were friends! I do not even like Ted Cruz. However I do not particularly like Barack Obama either and that did not stop me from dreaming I was friends with Obama, remember? My dream about Ted Cruz was kind of like the one about Barack Obama, though, in that my dislike was swept aside and I found myself having a good time. I was comforting Ted Cruz in his defeat. I was telling him he had a promising future, hang in there. And together we went here, and we went there. And I spoke to him about Leonard Pennario. 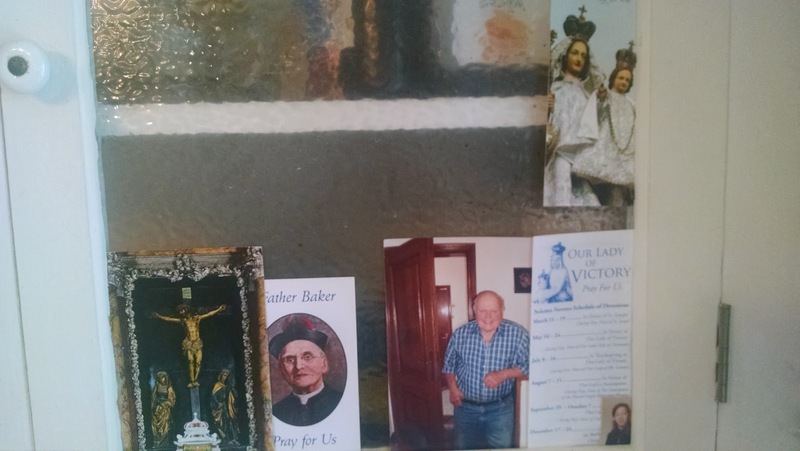 As we were hanging out I felt kind of uncomfortable, though, because I was afraid he would ask me, "Mary, you did vote for me in the primary, didn't you?" And I did not! It is funny with your dreams, you find yourself hanging out with people you never would, you know? God knows what reasons your subconscious has about matching you up with these people, but perhaps there is a reason somewhere. I think in this case the reason is clear. I can interpret this dream. It means: Step away from the media. I am paying too much attention to the news! 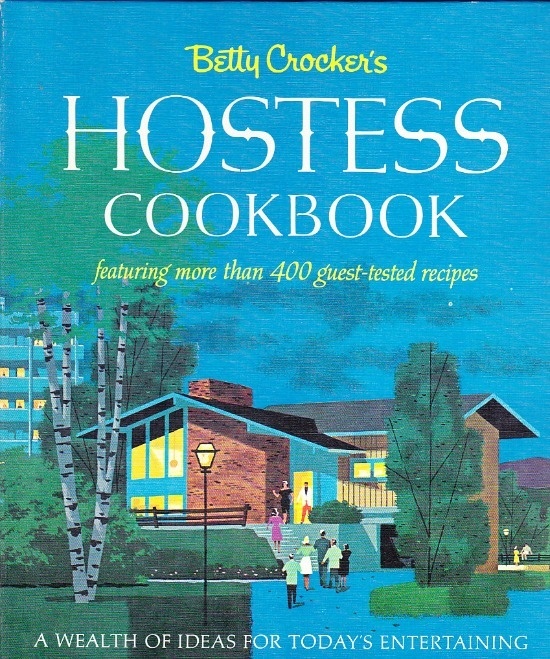 Voila, my new acquisition: Betty Crocker's Hostess Cookbook. Well, it is not quite new. I found it at Amvets a few weeks ago. But I have only just now gotten around toe realizing its greatness. I think this is what Howard would call New Old Stock. I do not think it has ever been used or opened. There is a price sticker on it that reads $1.95. The date is 1967 and an introductory note on the next page begins: "Dear Hesitant Hostess." 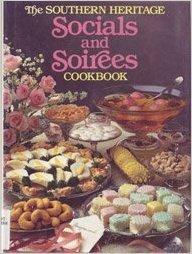 Whatever hostess owned this cookbook before has to have been very hesitant indeed! I love the picture on the front cover, the mod house with the guests approaching. And the section called "Bright Little Brunches and Lunches." "Borrow an idea from fine restaurants and offer each guest a cup of coffee the minute he arrives." Note the correct grammar. "Buy three or four Sunday papers and set them out for browsing." As an employee of The Buffalo News I like that suggestion! "Keep the menu light but make the most of it with the little flourishes so dear to the female heart." There is no Cinco de Mayo menu, how about that? However. Anyone want to come over for a Two-Table Bridge Luncheon? There is a menu for that. I am in awe of this cookbook.